Love Rain (2012) ia a gentle, romantic, beautiful K-drama, and a lovely trip down memory lane, deftly directed by the legendary Ho Suk Yoon, who created all the famous "4 Seasons" K-dramas that I adore, Winter Sonata, Autumn In My Heart, Spring Waltz, and Summer Scent. My friend Alison knew what she was doing when she insisted I watch this one! She knows what I like. The story is loosely similar to the beautiful Ye Jin Son 2003 film The Classic (in fact the producers of The Classic sued the producers of Love Rain, claiming copyright infringement, however if one really examines both stories there are far more differences than similarities in the way the characters were written). We begin with a young college age couple in 1980, when the military dictatorship was still in place, Koreans had curfews at night, they had to stop twice a day and salute the flag, etc., and then the action skips to a modern day (2012) young couple (the same two actors), and there is a relationship there between both couples, although one that is not discovered right away. Watching Love Rain was like "Old Home Week" for me, for this director definitely has a nostalgic, romantic, heart-warming narrative style all his own that I quite enjoy and which no other Korean drama director has ever had; he uses his own lush color-patented film stock called Yoon Color to make his dramas come alive; he often combines beautiful shots in Korea with location shots in other nations (I particularly melted into the winter scenes here shot on location in Japan! ), and always his dramas boast gorgeous, unforgettable musical scores, with top notch actors who give us unforgettable, almost mystical love stories which stand the test of time. This musical score, with the main love theme actually written by its male star Jang Geun Suk (Beethoven Virus), is beyond beautiful; I still marvel to this day that a kid in his mid 20's wrote something that transcendentally gorgeous! Here's the main theme on piano; judge for yourself! I think Jang Geun Suk sold himself short when he admitted in an interview about Love Rain that he had a difficult time "feeling" the character of a 1980 young man; I think he pegged such a man PERFECTLY! 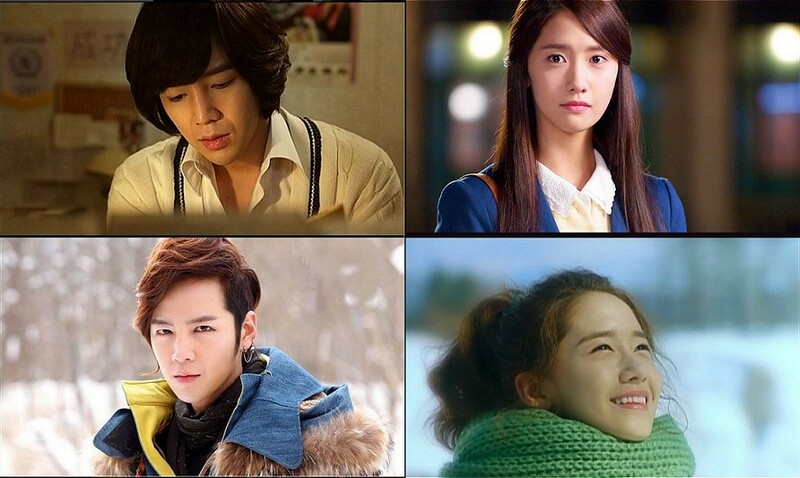 The first part of Love Rain which takes place in 1980 I have to admit is my favorite part of the show. I felt like I was in a time warp, because I came of age in the 1970's and this director nailed that time period down so well that I was truly in awe. The whole feel of that era was seen in the way the young people acted toward one another, spoke to one another, the music they enjoyed, their formal clothing and hair styles, the respect for authority which was demanded of kids back then (for instance, standing for national music and saluting, and having to obey curfews), the lack of cursing and disrespect toward adults, no internet yet so the kids actually read books and pursued intellectual interests, and the overall wholesome chivalry that men displayed toward women back then; all these aspects of the 1970's were brought to the forefront in the script. I thought to myself, only someone who came of age in the 1970's could know and understand the societal differences between the 1970's and 2012. Absolutely brilliant writing. THE STORY: Can you fall in love in three seconds? "Hana! Deul! Sam!" Our 1970's young college couple do! It's love at first sight for them, although they try and keep their feelings hidden for quite awhile, so as to not tip off their close friends. In Ha Seo (very popular young actor-singer Jang Geun Suk) and the girl he loves, Yoon Hee Kim (Yoona Im, The Prime Minister And I), are quiet and shy artistic types; she writes and keeps a diary, he paints and writes / performs music. They have mutual close friends at university named Dong Wook Lee (Shi Hoo Kim), a handsome and popular boy who has a crush on the pretty Yoon Hee too, and is a member of In Ha's guitar band; Hye Jung Baek (Eun Seo Son) who has a crush on In Ha; and also our comic relief characters: Tae Sung Han (Young Kwan Kim) who always gets in trouble for his anti-government views and songs which he also performs in In Ha's guitar band, Chang Mo Kim (Seo In Guk in one of his earliest roles) who is like a class clown but still has a beautiful voice to add to In Ha's band, and cute Hwang In Suk (Bo Ra Hwang) who wants most of all for Chang Mo to finally get up the courage to kiss her. After a series of misunderstandings, when In Ha and Yoon Hee finally admit their true feelings for one another, their friendships with the others are strongly tested. The boys were preparing for a folk music contest and the personal troubles within the group of friends threaten to break up their music group; however they try to work to resolve problems with one another in a constructive way, and decide to go on stage and perform anyway, and then suddenly government police show up to arrest Tae Sung for his liberal views, which causes all of the boys to scatter. Yoon Hee had just discovered that she has tuberculosis and her grandmother decides to take her to America, where she can get the best medical care. Yoon Hee tries to hide her health situation from In Ha and instead lies and says she doesn't care for him anymore. He is devastated at their breakup, especially when he learns the real cause of Yoon Hee leaving him, but there is nothing he can really do at his age to help her. He bids her a tearful goodbye, and later mistakenly hears that she has died. We jump to 2012 and the mature In Ha (actor Jin Young Jung, Angel Eyes) is now a professional photographer, who was unhappily married to Hye Jung Baek (now played by actress Hye Ri Yoo), the girl who had always had a crush on him in college, and they have a son together named Joon Suh (also played by Jang Geun Suk) who is now a young independent adult but with a mistrust of women due to the bitter divorce of his parents. So already we see a huge societal difference in the typical man of the 1970's compared to the typical man of 2012: the young man of 1980 immediately and steadfastly loves just one girl his whole life, even after she parted from him, even after he had heard that she had died of TB in the United States, whereas the young man of 2012 doesn't believe in love at all due to the divorce of his parents, and he guards himself against women as a result, hiding his mistrust behind rudeness and sarcasm. It takes him a long time in this story before he trusts the one girl who finally sparks a real interest, Ha Na Jung (also played by Yoona Im), who turns out to be the daughter of his father's first love, Yoon Hee, and a man she had married in America after being cured of the TB. Yoon Hee is now a widow. His new love eventually softens Joon Suh's heart, but the process is a long one, with many detours and set-backs in their relationship, and involving a major decision regarding both their parents. It turns out that both the adult In Ha and the adult Yoon Hee (Mi Sook Lee, a wonderful veteran actress whom I just love watching!) meet again in Korea by accident, and In Ha discovers, obviously, that she never died, and they slowly, guardedly, re-establish a love relationship with one another. When their children discover this they nobly break up, to avoid any heartache they might inflict on all their parents if they became step-siblings while loving each other deeply. Then the parents discover the reason their children broke up with one another and then they sacrificially call off their pending marriage, and ultimately decide to move to America as unmarried friends. So it seems there can be nobility and chivalry in modern day people after all! Ha Na and Joon Suh are then free to marry. Even Joon Suh's mother Hye Jung, who had hoped to restore her marital relationship with In Ha, ultimately accepts the marriage of Ha Na and Joon Suh and the inevitability of her ex-husband's relationship with the one girl he had always loved. As is often the case with K-dramas, many characters in the story grow and improve as human beings over the course of the show. Sometimes even criminals in K-dramas are humanized (perhaps a bit TOO much for my liking!). However, there is little doubt that shows like Love Rain provide the modern viewer with lots of "warm fuzzies" or "feels", as K-drama fans call the warm glow we experience while watching these outstanding actors bring a great love story to life for us. I will admit this: I may be a woman soon to enter her senior years, but I certainly get warm "feels" by watching the beautiful Jang Geun Suk in anything! 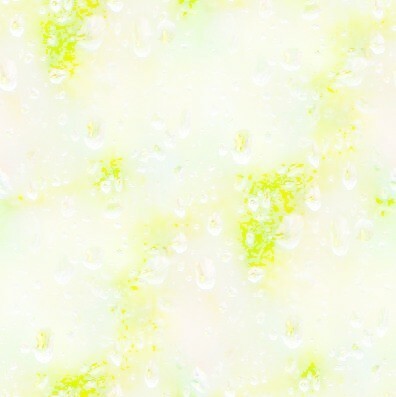 ;) Even my sixteen year old daughter, who watched with me, was entranced by Love Rain and Jang Geun Suk. 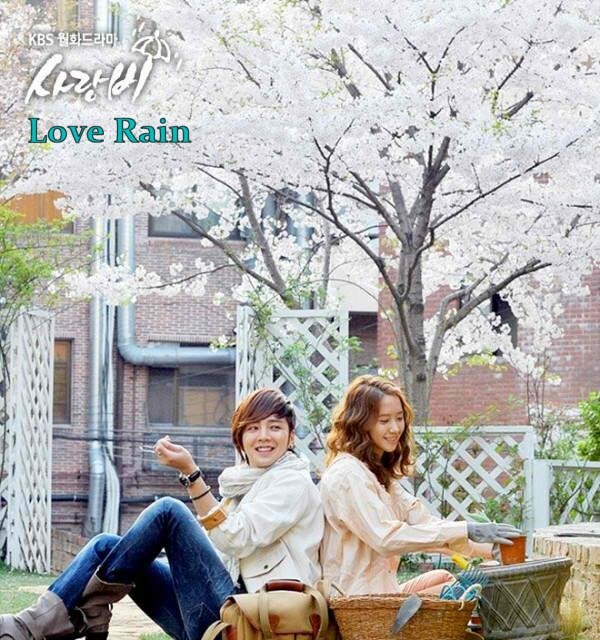 I went ahead and purchased a DVD set for Love Rain on Amazon, so that I would always have the show for posterity. I like how the DVD set was produced; each DVD contained episodes which weren't marked as individual episodes but flowed smoothly, as a movie does. There was no having to endure a repetitive intro at the beginning of each new episode. I highly recommend Love Rain to anyone who loves an absorbing love story which touches on universal themes like trust, truth, forgiveness, and fidelity.